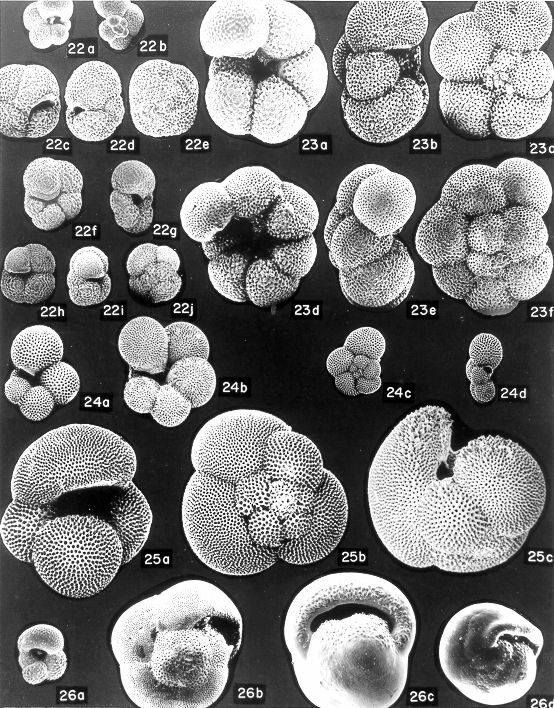 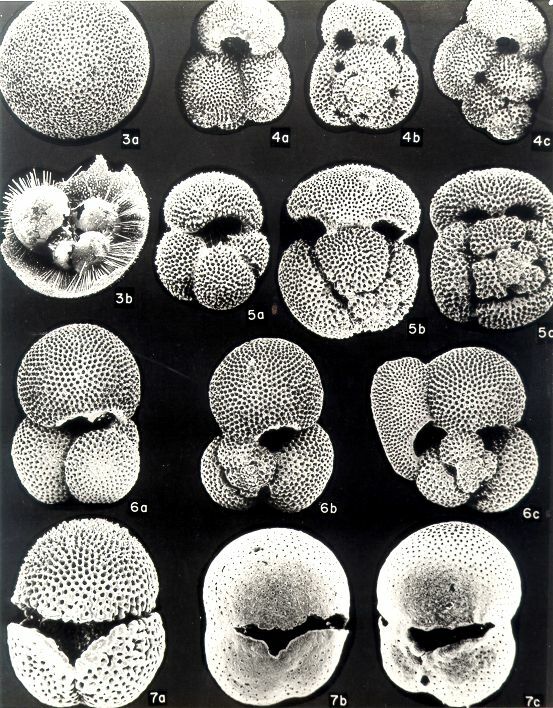 The photographs below, of modern planktonic foraminifera, were assembled in the early 1960’s by Dr. Allan Bé, a distinguished micropaleontologist who worked at Lamont-Doherty Earth Observatory. 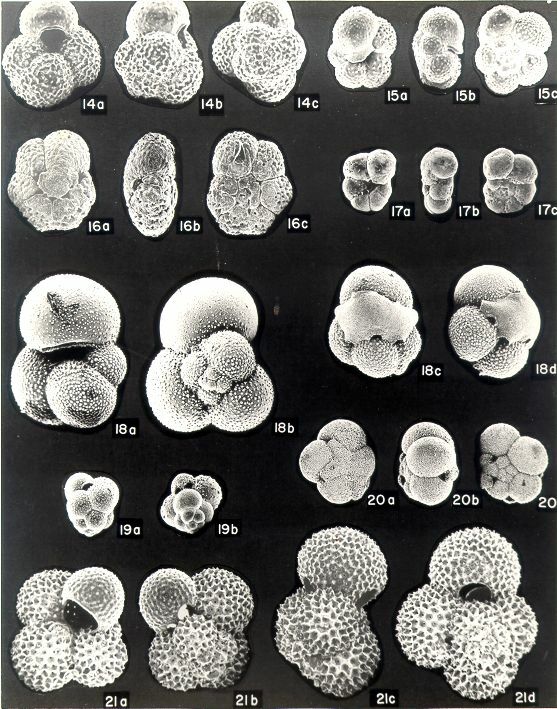 For almost 50 years they have been passed around and used by many labs and taxonomists and were published as a complete set in 1977. 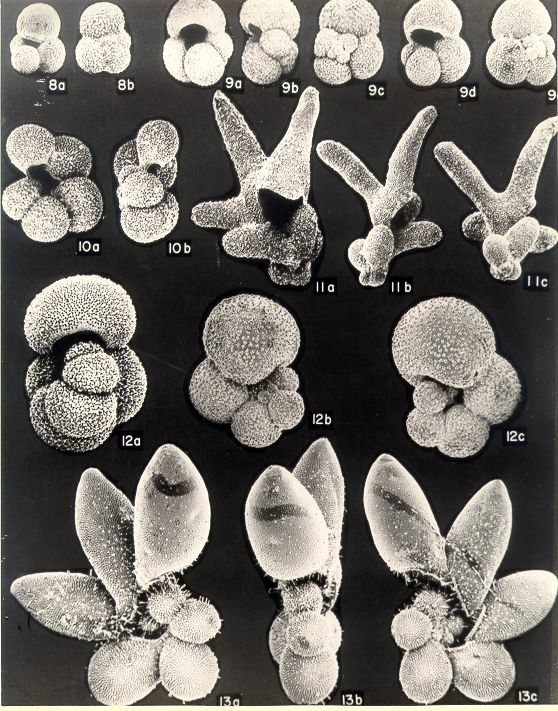 With the permission of Elsevier* and Allan’s colleagues, I am posting them here so they will continue to be of use to “bug-pickers” around the world. 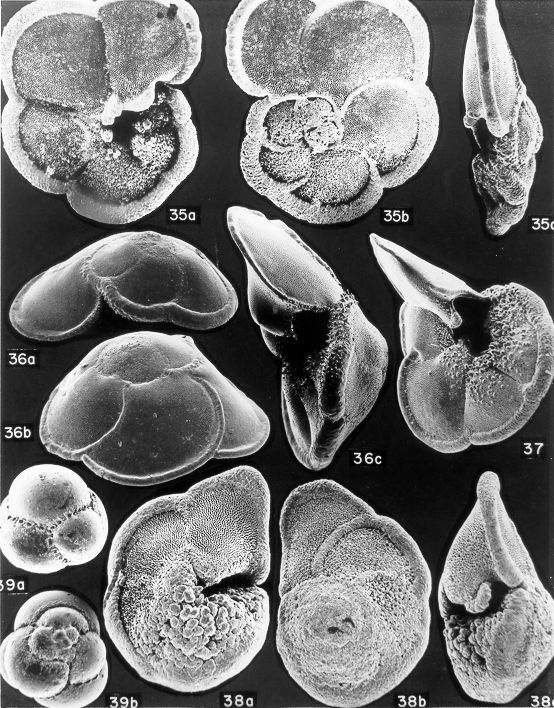 Species identification key can be found below. 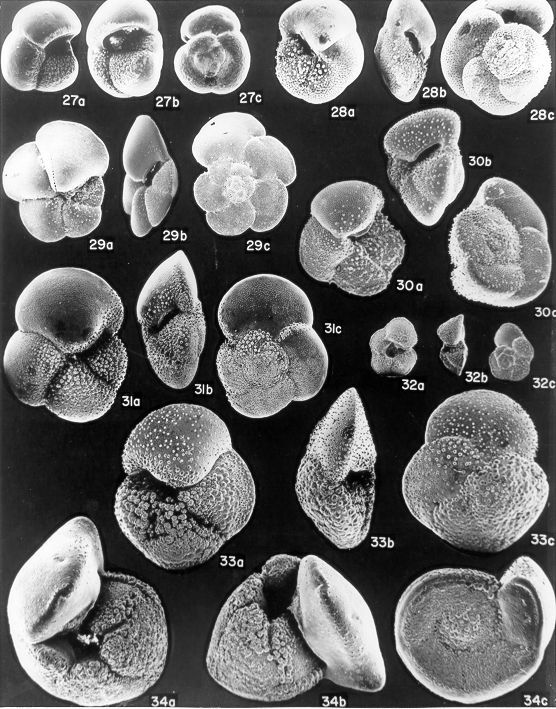 *Reprinted from “Oceanic Micropaleontology”, Volume 1, Allan W. H. Bé, An Ecological, Zoogeographic and Taxonomic Review of Recent Planktonic Foraminifera, pp. 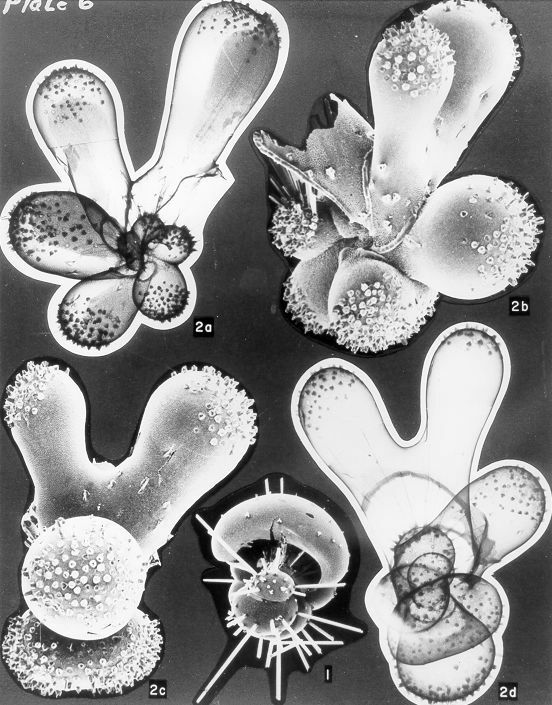 1-100, Copyright 1977, with permission from Elsevier.